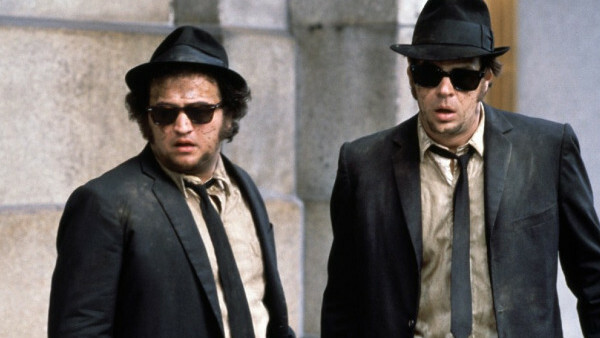 There are two things in The Blues Brothers you'll never grow tired of after almost four decades of repeat performances: the soundtrack and the car chase. Jake and Elroy's mission from god is a crash course in the finest R&B, soul, and blues music ever recorded, featuring song and dance numbers from legends including James Brown, Cab Calloway, Aretha Franklin and Ray Charles. Why listen to a compilation album when you can just stick this in the DVD player? Speaking of crash courses, the car chase is always exhilarating. No fewer than 103 vehicles were trashed while the duo made their getaway, and the version of I Can't Turn You Loose that accompanies the scene matches its choreography note for note. On top of all of this, John Belushi's improv and the electric chemistry between him and Dan Aykroyd hits the right notes every time.